Identification of mutations beyond targeted genes may improve our understanding of the etiology of cancer. By using large-scale sequencing of germline DNA in addition to somatic or tumor DNA, Dr. Ghazani explains, clinical scientists may not only improve assessments of familial risks but also increase the number of identifiable therapeutic targets. Identifying new actionable mutations using large-scale NGS data improves the clinical utility of the technology. 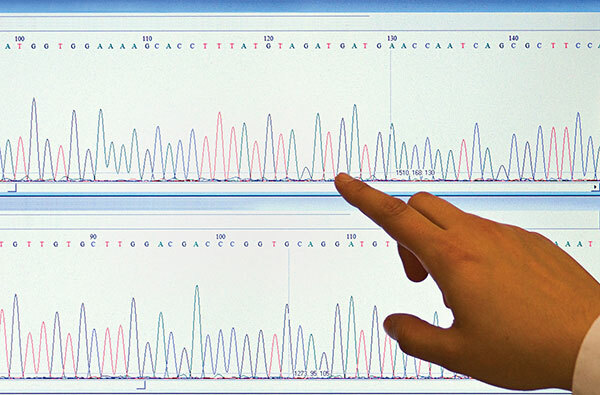 The consequence is that large-scale NGS technology at the clinical laboratory level may become more reimbursable. Covaris, a company focused on sample preparation and workflow systems, asserts that it is a leader in DNA fragmentation. To support this assertion, Covaris points to its Adaptive Focused Acoustics™ (AFA) technology, which enables an array of non-contact, isothermal processes to be developed for use in applications from genomics to drug discovery. AFA, the company says, has long been considered the gold standard for shearing DNA in chromatin immunoprecipitation (ChIP) assays. Adaptive Focused Acoustics (AFA), a technology developed by Covaris, uses ultrasonic energy to subject samples to hydrodynamic shear stress. 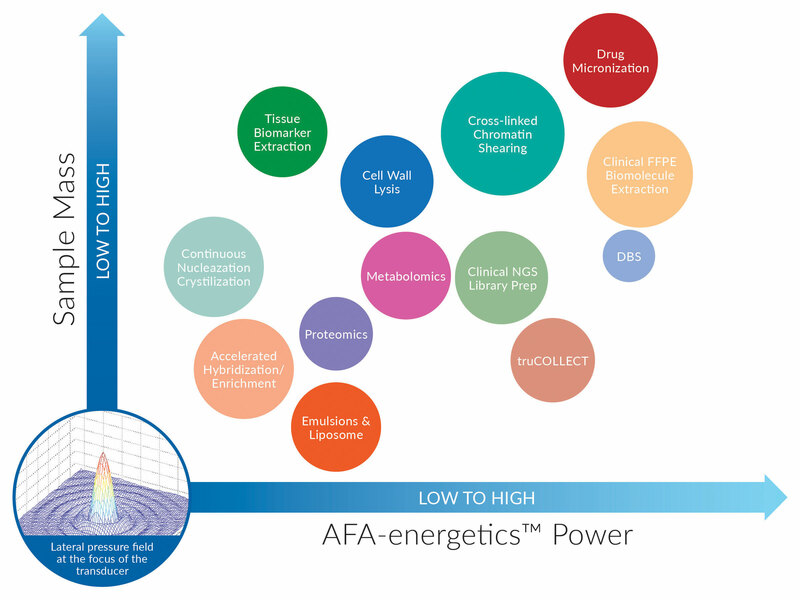 AFA can be tuned to process samples in a variety of applications, from the low-power gentle mixing of solutions and protein extraction to high-power applications such as DNA fragmentation, liposome formation, and the creation of nanosuspensions.